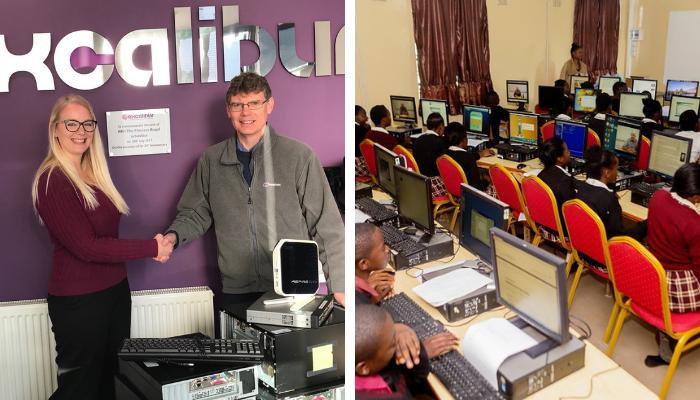 Excalibur Communications, Techs4Education and its customers have generously donated a wide selection of ‘pre-loved’ IT equipment to Cheltenham based charity IT Schools Africa. ITSA has a mission to provide quality education to African students through access to e-learning and invites businesses and schools to donate working IT equipment to the charity. It also runs a Community Programme here in the South West helping local charities and community organisations bridge the digital divide.